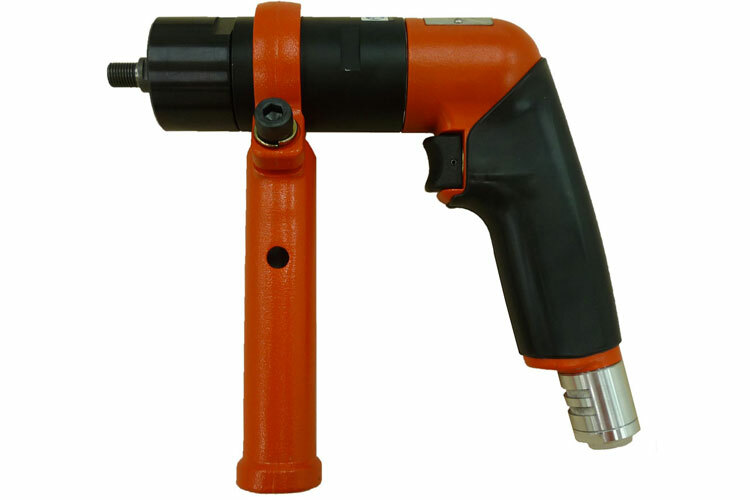 The 5412104368 Fuji FRD-6PH-7 Standard Pistol/Rear Exhaust Type Drill is one of thousands of quality tooling products available from MRO Tools. Please browse Fuji Pistol/Rear Exhaust Type Drills for tools similar to the 5412104368 Fuji FRD-6PH-7 Standard Pistol/Rear Exhaust Type Drill. 5412104368 Fuji FRD-6PH-7 Standard Pistol/Rear Exhaust Type Drill description summary: Model: FRD-6PH-7 Model Type: Threaded Model w/o Chuck Drilling Capacity: 13mm/ 1/2'' Stall Torque: 15.8(N.m)/ 11.7(ft.lb) Free Speed: 600min-¹ Spindle Type & Size: 1/2-20 UNF Chuck Capacity: 13mm Side to Center: 22.5mm Power: 320(W)/ 0.43(hp) Quantity discounts may be available for the 5412104368 Fuji FRD-6PH-7 Standard Pistol/Rear Exhaust Type Drill. Please contact MRO Tools for details.